2016 is finally coming to an end, but can we just take a moment to appreciate just how much smartphone manufacturers have brought us this year? Every brand, big or small, has had a statement to make through at least one impressive device. The holiday season always pushes smartphone sales through the roof, as many take to retail stores and online shopping channels to give (and receive) the holiday cheer. It is, therefore, fitting that we present to you our list of the 8 best phones to buy this season. The iPhone 7 Plus is the larger and bolder version of the iPhone 7. 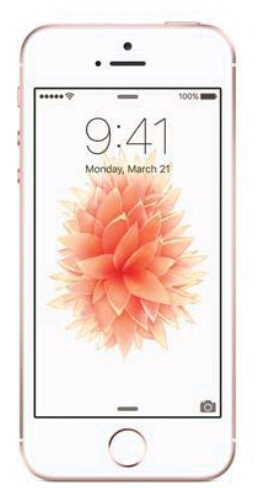 Design-wise, it is not that big an update to its immediate predecessor, last year’s iPhone 6s Plus; but water resistance, faster performance, improved cameras and a larger battery are enough to appeal to any holiday shopper. The omission of a headphone jack was seen as too bold a move by some critics, but users and even other smartphone manufacturers like Lenovo and Samsung are warming up to the revolutionary step. If you’re in the market for a smartphone, particularly to gift someone who is new to the latest Apple products, the iPhone 7 Plus is the perfect choice. The Pixel is Google’s first smartphone release out of its acclaimed Nexus line, and it has been labelled by reviewers as the best Android phone yet. Whether the handset deserves this prestigious title is up for debate, but no one can object to its sheer brilliance. Albeit relatively smaller than most flagship smartphones, the 5-inch Google Pixel comes packed with the latest in both hardware and software. Other than its big brother the XL, the Pixel is the only device to launch with the latest Snapdragon 821 processor and Android v7.1 Nougat. Add a crisp screen, a great camera and a reliable battery to the mix and you get a truly unrivalled device. As far as gifts go, the Pixel is not the cheapest out there. Regardless, the amount of technology you get is worth every penny. Although the Galaxy Note 7’s battery issues rocked the boat pretty hard for Samsung, the S7 Edge remains one of the best smartphones this year. With an elegant, refined design and a top-of-the-class performance, the S7 Edge is a stellar update to last year’s flagship, the Galaxy S6 Edge. The handset also comes with an exemplary camera, water resistance, a fast fingerprint scanner, reliable battery life and fast charging; all which tell one story: Samsung has everything anyone could want in a smartphone this Christmas season. Since acquiring Motorola in 2014, Lenovo has depended solely on budget-friendly devices. However, the Moto Z marks the beginning of the company’s entry into the world of premium handsets. As expected, therefore, the phone’s specs sheet matches the required standards. 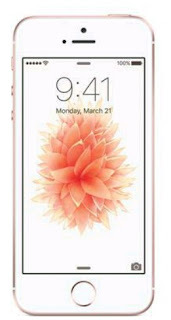 The design features an attractive, ultra-thin finish, a 5.5-inch display sporting 2K resolution, lightning fast performance, and on a single charge it lasts longer than the iPhone 7 Plus. The new Moto Z might be expensive compared to previous releases, but it offers the best of the best. It is bold statement for all who are used to Lenovo only manufacturing cheap devices with acceptable compromises. The LG V20 combines the best from the G5 and the V10, resulting in a premium and powerful smartphone that pushes the LG brand to the top. In addition to the top-notch hardware, the V20 is one of the chosen few to ship with Google’s Android Nougat, which gives you the latest Android experience out of the box. To set the phone apart even more is its robust and durable military-grade build, which guarantees long-term reliable protection. If you are looking for a phone that will be with you for this and future holiday seasons, the LG V20 is your best bet. After overwhelming acclaim from critics for the HTC One a few years back, it would be accurate to think that HTC has slacked a bit recently. However, this year’s HTC 10 has been on a successful mission to regain the company’s lost glory. Thanks to a rather common hardware combination of the Qualcomm Snapdragon 820 and 4GB of RAM, performance is on par with the latest premium smartphones. Moreover, the new HTC Sense 8 UI is cleaner, lighter and faster than previous versions and the phone’s audio experience is unmatched. The HTC 10’s 12MP rear camera is the company’s best one yet, but it doesn’t reach the high bar set by devices like the S7 Edge and the iPhone 7 Plus. Nonetheless, every HTC enthusiast will appreciate its best smartphone yet. Like the other top-choice handsets in this list, the G5 boasts some of the best features money can buy. It’s blazing fast, has a near-perfect dual-camera setup and offers the best multimedia experience thanks to a sharp screen and splendid audio. While you can find all that in a standard high-end smartphone, what makes the G5 special is its modular design, which lets you add optional attachments like a camera grip and auxiliary speakers. LG has also been kind enough to maintain core features like a removable battery and expandable storage to make this phone appealing to an even larger customer base. The G5 may not have the looks of the Samsung Galaxy S7 Edge or the Apple iPhone 7 Plus, but it is a truly innovative smartphone. Smartphones have seen a drastic increase in size over the years and iPhones have not been left behind. With the iPhone SE, however, the company has gifted its customers with a reasonable alternative. Design-wise, the SE takes after 2013’s fan-favourite iPhone 5S to bring you the smallest smartphone worthy of a seat at the big boys table. This little rocket offers fast performance, an impressive Retina display, a 12MP rear sensor, and the latest software version, all at a price that is the lowest among the latest Apple devices. The iPhone SE comes highly recommended to those who want the best features but would prefer a phone that is smaller than the 5+ inch norm. With so many cool devices to choose from, finding the best smartphone that fits your budget and your taste can be a challenge. It is therefore our hope that this list has helped you filter your favorite smartphones down so you can decide which one you should buy.